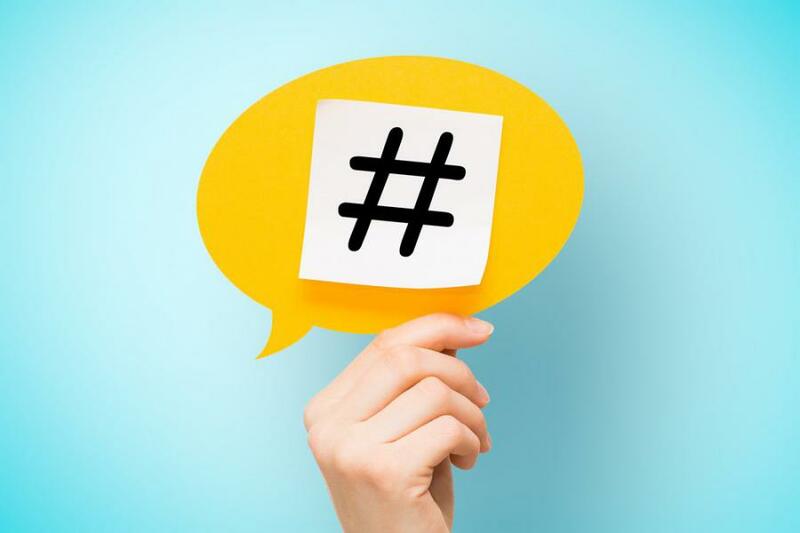 According to the United States Patent and Trademark Office, a term containing the hash symbol or the term “hashtag” may be registered as a trademark. PHILADELPHIA, PENNSYLVANIA, UNITED STATES, October 30, 2018 /EINPresswire.com/ -- As I check my Instagram feeds, I see that one of my traveler friends has posted her picture with numerous hashtags like #sunset, #holidayinbali, #vacationdiary, and so forth. Another friend of mine uses hashtags to publicize her apparel business by posting pictures of designer clothes with multiple hashtags like #pleatedskirts, #orangeisnewblack, and #designercroptop. Doing so lets her connect with the potential customers who are on the lookout for similar items. If you are on any social networking platform such as Facebook, Instagram, or Twitter, you must be familiar with hashtags. The hashtag is an unspaced word or phrase that is preceded by the # sign. Hashtagging a picture or text allows you to share it with others. The shared content can be found by people who are searching for similar hashtags. You can use hashtags to further both personal and professional interests. Not only can you share your thoughts and connect with like-minded people, but businesses can use it to promote their products and services, spread a word, share business-related news, and engage with the consumers. There is a world of opportunities that have opened up with hashtags. With the popularity of hashtags, more and more brands want to establish ownership on the hashtags by trademarking them. Thus, it becomes crucial to know if hashtags can be trademarked. Trademark refers to a symbol, design, word, or a phrase that identifies with your brand. The registered owner of the trademark retains the exclusive right to use it, and any other party using the same symbol or word without the knowledge and permission of the owner can be sued for trademark infringement. According to the United States Patent and Trademark Office (USPTO), a term containing the hash symbol or the term “hashtag” may be registered as a trademark, but “only if it functions as an identifier of the source of the applicant’s goods or services. For example, #Starbucks identifies with a specific source of coffee.” On the other hand, any descriptive or generic word or phrase used with the hash symbol or the term “hashtag” cannot be registered as a trademark, for example, #coffee cannot be registered as a trademark because it does not signify the source of the coffee. This is a tricky question that has no definite answer. Whether you should get your hashtag trademarked depends on the reason why you would want to do so. Thus, before you seek to trademark your hashtag, you must evaluate your reasons. For example, it’s not a good idea to try to trademark your hashtag so you can stop others from using it because the use of a hashtag is not regulated by the trademark law. This means that anyone can use a brand name to give an example or describe that particular brand. For example, saying that I love Nike in a social media post while using the hashtag Nike (#Nike) is not considered a trademark infringement. However, you may choose to trademark your hashtag if the purpose is to use it as an identifier of your products and services or the message expressed in the hashtag directly connects with your brand image. For example, Nike's slogan "Just Do It" is considered a trademark when it is used with a hashtag (#JustDoIt). You can take the help of a trademark attorney to register your hashtag. Using the brand’s hashtag trademark in a social media post to talk about the brand is not considered an infringement; however, using hashtag trademark of a competitor in a manner that may deceive its customers or create confusion pertaining to the identification of the brand may fall into trademark infringement. For example, in the case of a clothing company, Fraternity Collection, LLC v. Fargnoli sued its former designer when the designer began to use unregistered trademark hashtags like #fratcollection and #fraternitycollection to market her business. The court acknowledged that using a competitor’s hashtag may come under trademark infringement. To avoid potential infringement and to understand what grounds you could pursue a legal battle, you must seek advice from a trademark lawyer. If you have any trademark or copyright-related queries do call Paul & Paul at 866-975-7231; we would be more than happy to help. ﻿According to Black's Law Dictionary, ﻿infringement﻿ can be defined as: "A breaking into; a trespass or encroachment upon; a violation of a law, regulation, contract, or right. Used especially of invasions of the rights secured by patents, copyrights, and trademarks." What to do if Someone else has Patented my Idea?